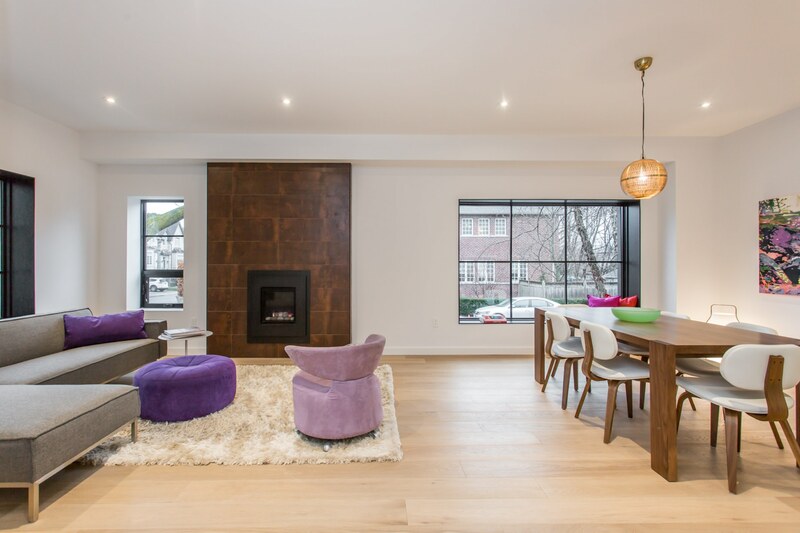 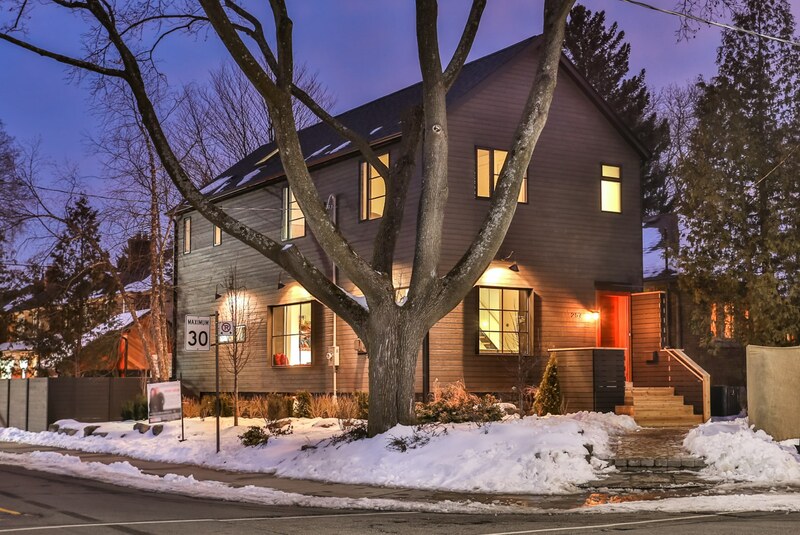 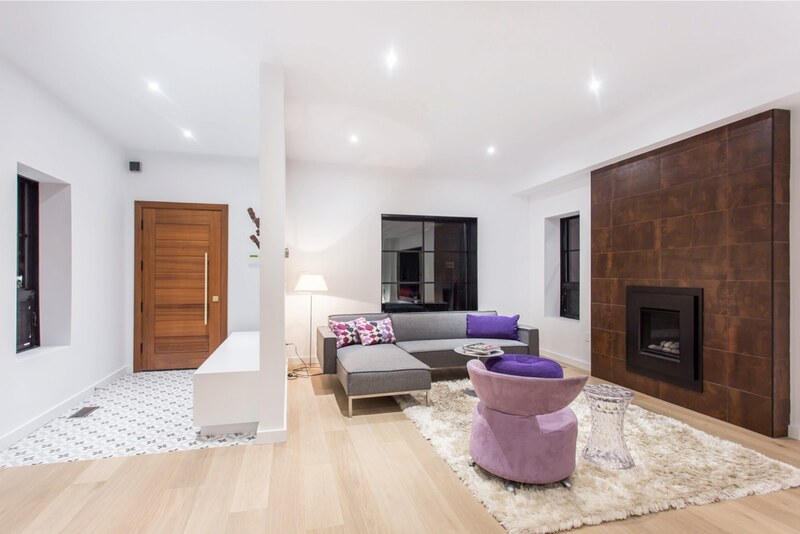 This beautiful urban home sits on a corner lot in Toronto’s highly sought-after Yonge and Eglinton neighbourhood. 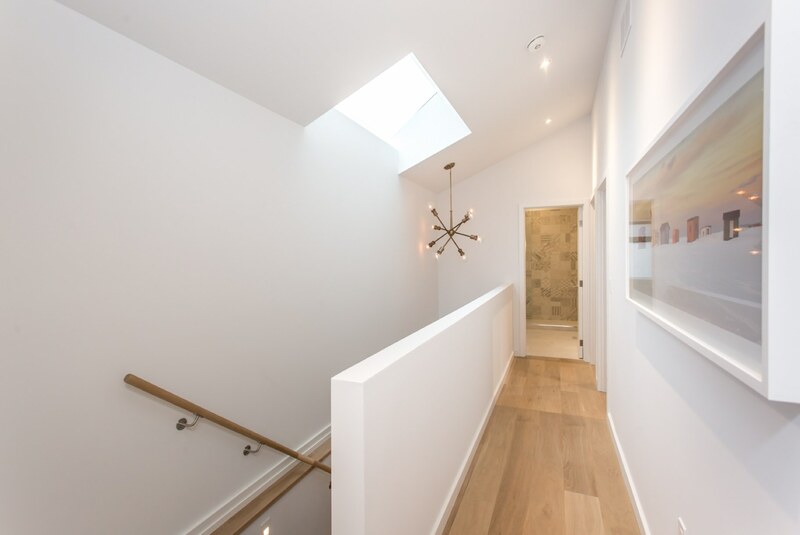 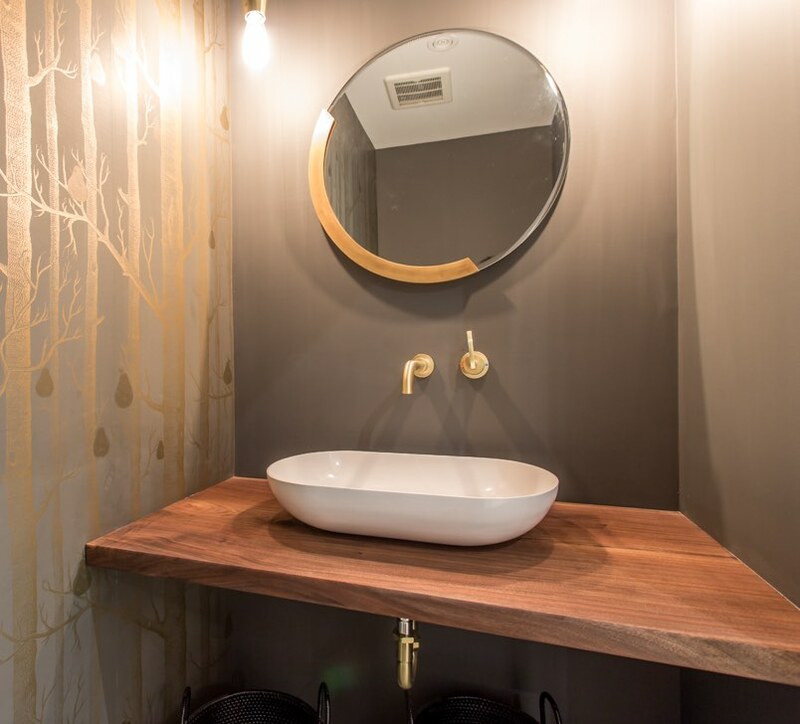 We originally bought the property, which housed an aging bungalow, and set our sights on creating a delightfully modern two-storey home, but with a traditional gable that, for many, evokes home. 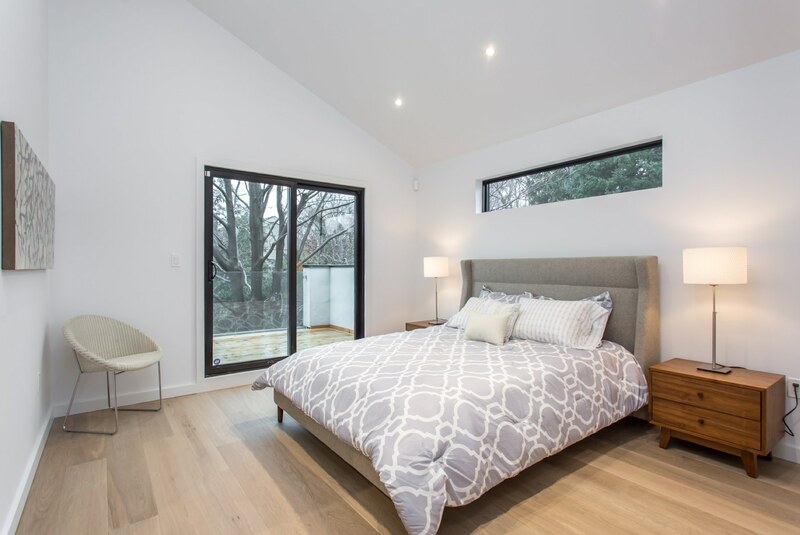 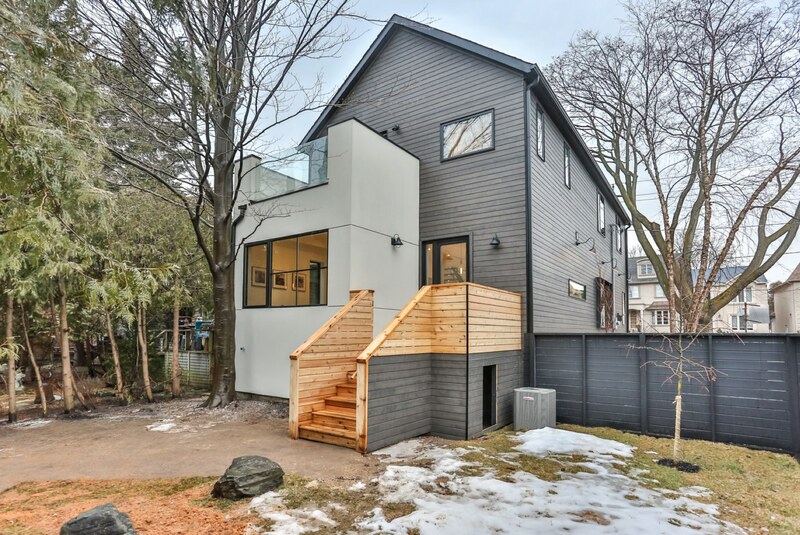 Featuring clean lines and black windows, we clad the home with wood siding, a rather unusual choice for a city home, and yet it fit into the neighbourhood perfectly. 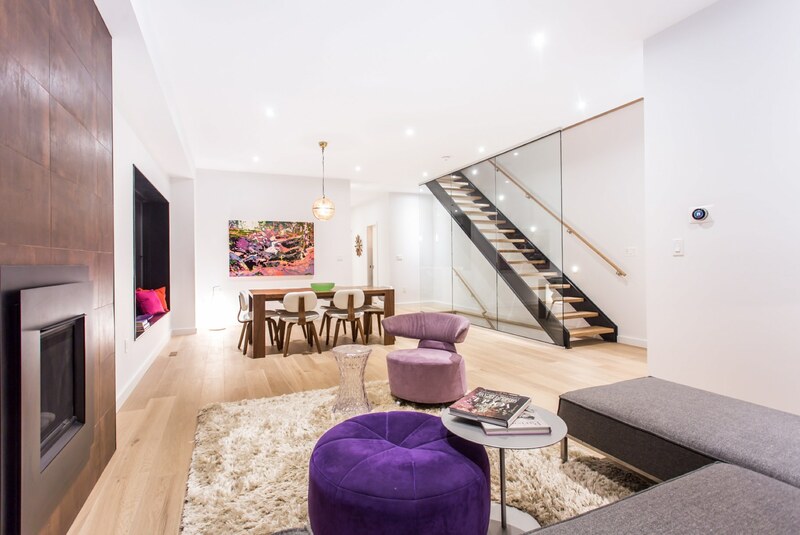 A custom staircase, fashioned from white oak with black steel stringers and a floor-to-ceiling glass wall flanking it is the focal point of the living room. 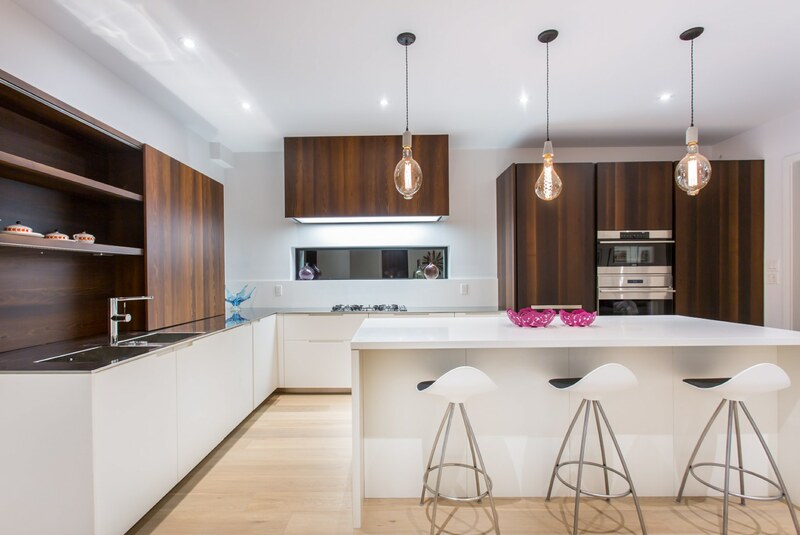 The kitchen embodies the ultimate in contemporary design. 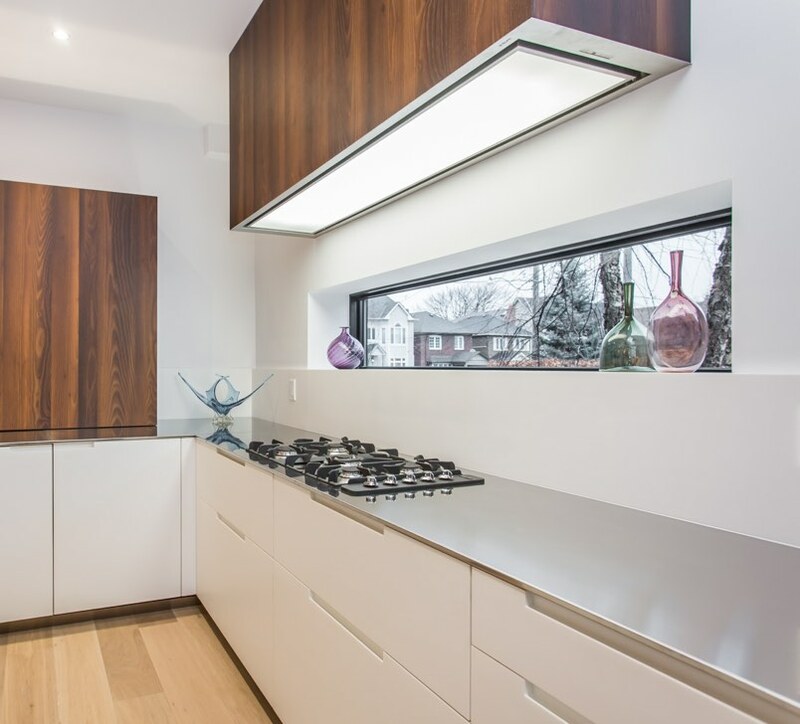 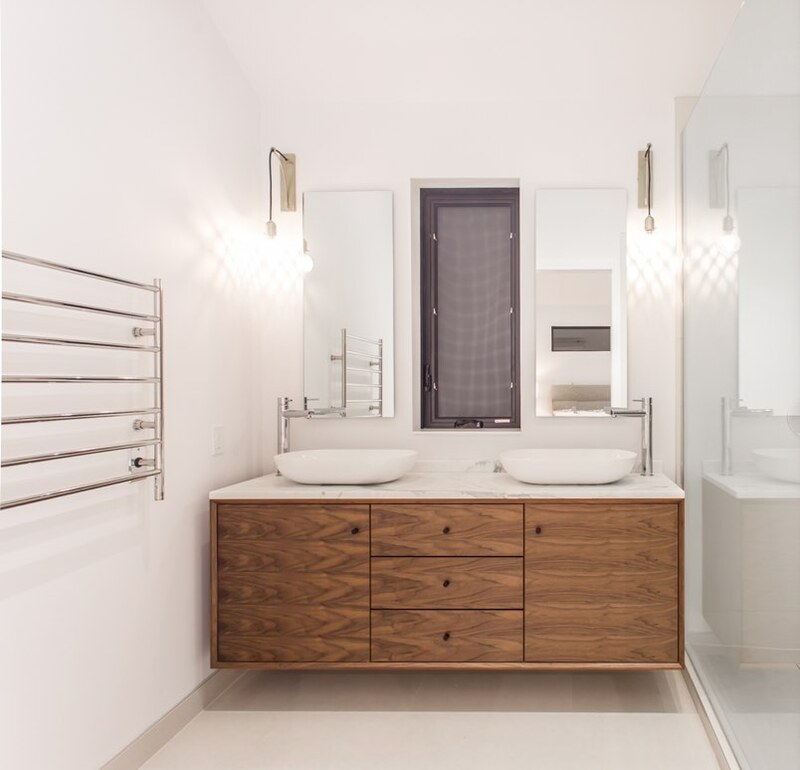 It’s ultra modern with sleek stainless steel countertops warmed by a Corian island countertop. 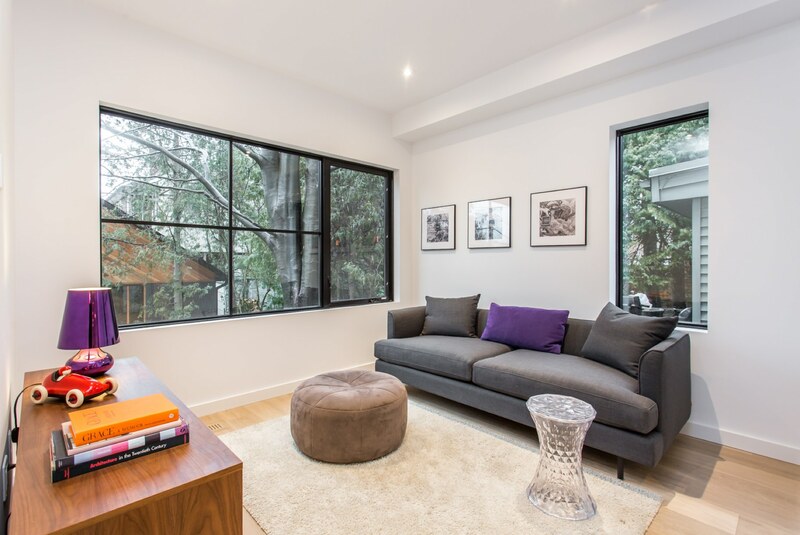 Unique black-framed windows underscore the contemporary design and create a smart linear reference point for the urban views. 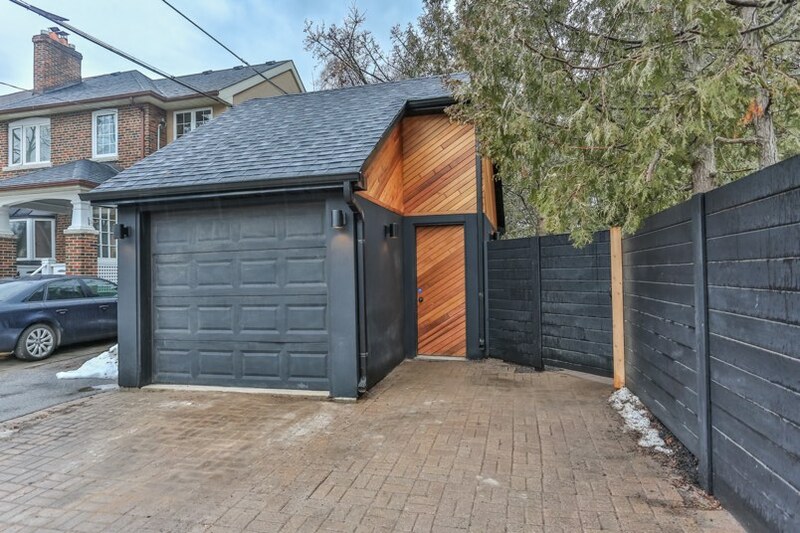 The rear of the home offers deck access to a private backyard space as well as a custom designed garage.